Great idea, AirDave. These will be some fun models! Neato! The grandkids will love these. LIVEWIRE is done! and up! Looks pretty good next to the Juice machine! I'll say...It's hard to tell the difference between that and the real thing....Are you sure it's made out of paper? I'm happy with the way this one turned out...even with the flat cutout wheels, it still doesn't look too bad! 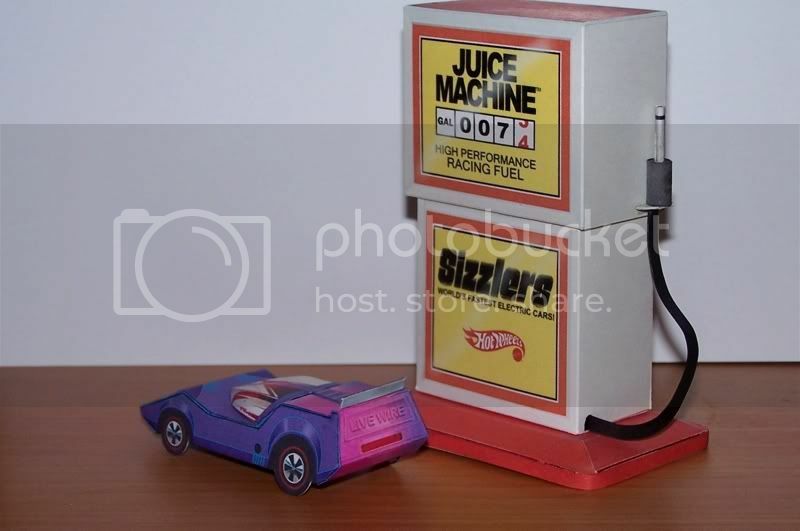 Not hard to remember the stuff you really liked! But like everyone, I never thought to keep all that stuff from my childhood! 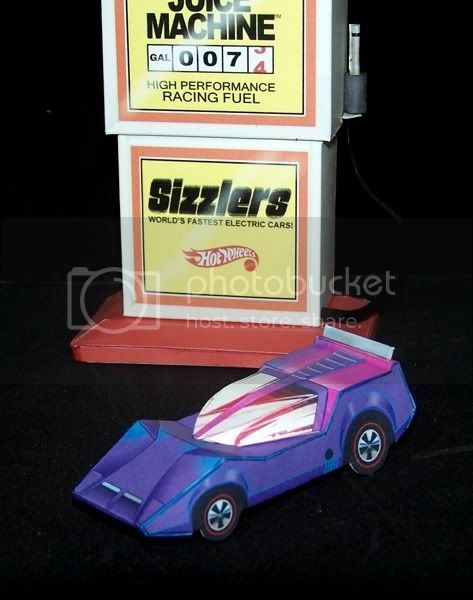 I didn't have a ton of Hot Wheels...I owned about two dozen over a three year period (1968-1971)...then I owned about half a dozen Sizzlers. I have three or four designs I am working on. and I am starting work on Diorama Accessory Kit #2!